“I thought I was passing a kidney stone, since I had them before. This pain was different. I was referred to a gastroenterologist. After a series of tests, he discovered my gall bladder was the culprit, and suggested I have it removed. He recommended I see General Surgeon Sandra Esquivel, MD. I liked her immediately and felt confident in her. She explained the outpatient procedure would have only one incision. 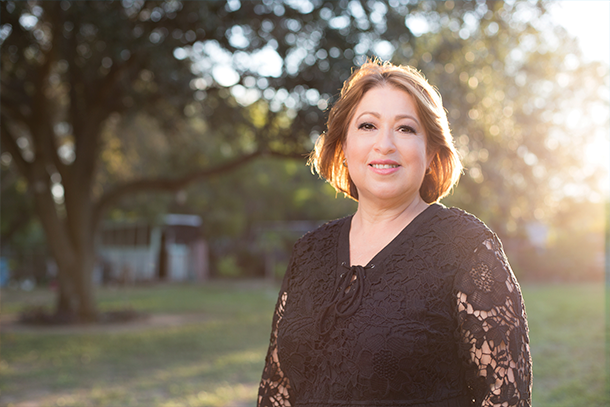 On June 30, I arrived at Edinburg Regional Medical Center at 7:30 a.m. One of the nurses explained that the surgical robot was going to be used, and that I was the first patient at Edinburg Regional to have the SingleSite® robotic surgery. I had one small incision that was sealed with surgical glue and only four internal stitches. Learn more about robotic surgery at Edinburg Regional Medical Center or call 855-822-2778 to find a doctor that's right for you.